Encanta La Vida is an unique jungle lodge located in the tropical rainforest of Southern Costa Rica. Situated on the tip of the remote and exotic Osa Peninsula, the beachfront Lodge in Cabo Matapalo offers adventurers the opportunity to witness one of the few untouched pristine regions in the country. Experience the sounds of the jungle, sunbathe on breathtaking beaches and see amazing wildlife all in one location. Encanta La Vida is the only lodge located at the beach in the area. People come from all around on tours to experience the rainforest, wildlife and beaches we enjoy everyday. 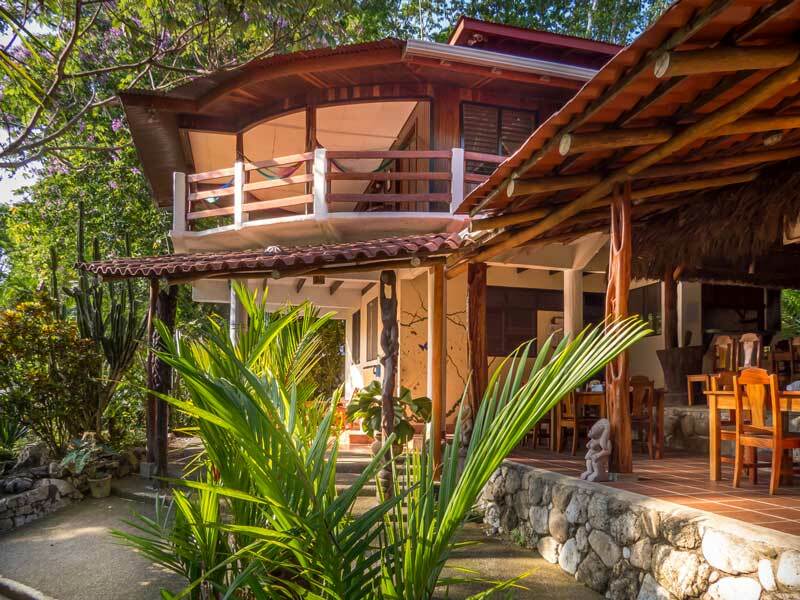 Also, the lodge is only 45 minutes from the world famous Corcovado National Park – crown jewel of the national park system. 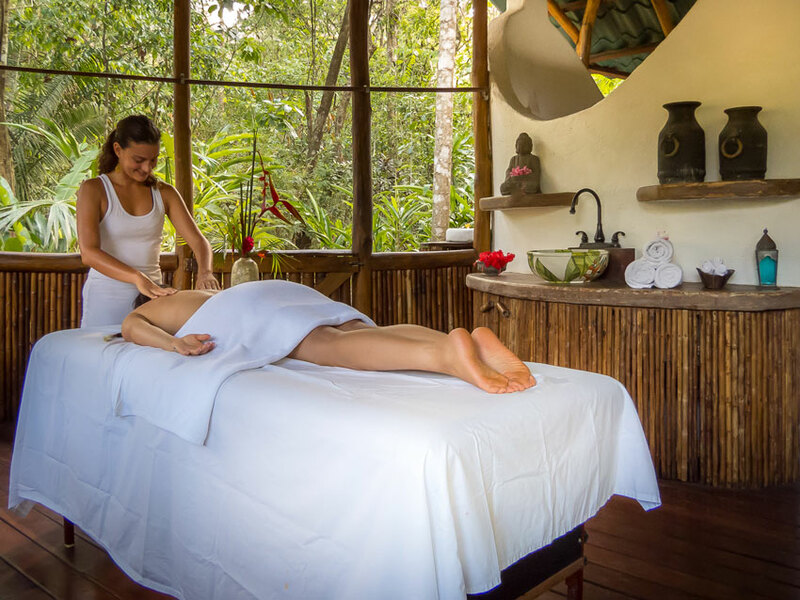 Enjoy a remote jungle vacation with all the amenities you need to ensure your comfort. 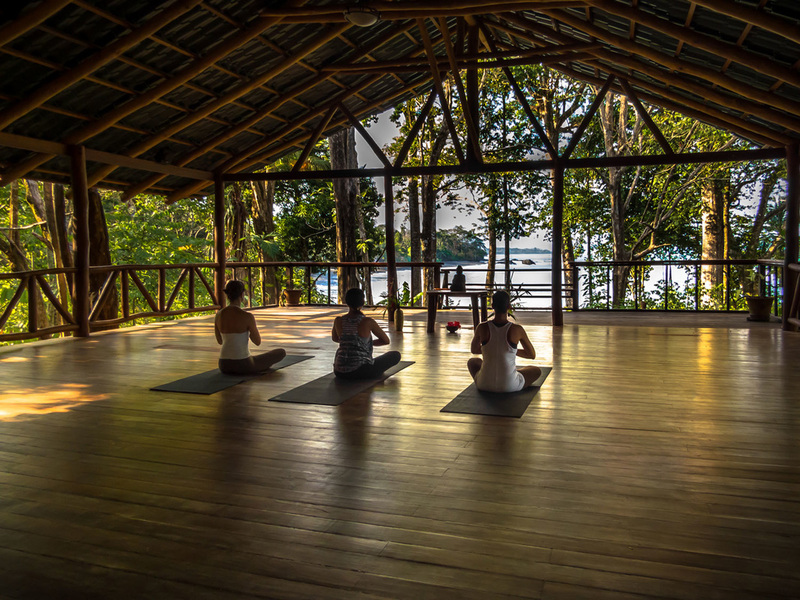 Relax by the pool, explore the local rainforest, hike to the waterfalls, take an eco-tour or have a massage on our ocean view yoga deck. Treat your palate to three delicious meals a day made with fresh local ingredients by our chef. All meals are served in our open-air thatched roof dining area. You have your choice of romantic dining on the lower level or family-style seating in the dining room. Our chef will delight your palate with delicious meals and tropical beverages. All of our meals are crafted with the freshest local ingredients.In the morning coffee and tea are ready around 6:30am and are available throughout the day. Breakfast is served from 8am until 9:30am, lunch is from 1pm until 2:30pm and dinner is served at 6:30pm. Encanta la Vida offers five different accommodations with a total of 9 rooms to choose from; The Casona, Ranchito Cabina, The Pole House, Deluxe Cabins, The Honeymoon Cabina.